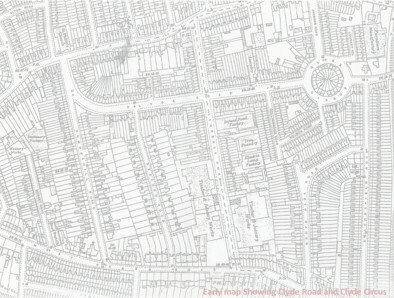 I have just spent a couple of hours looking through numerous very interesting absorbing articles and photos on the Summerhill Road Web page. Reading all the stories and seeing the photos has brought back many memories for me as I used to live at No. 165 Clyde Road which was directly opposite the Old Brown Jug Off License and Fire Place Factory on each corner of Elizabeth Place and only a few yards from Bedford Road - so not far from Summerhill Road. Along with my father John, mother Rose, and brother Steve we lived at 165 from 1954 until March 1963 after moving from Langham Road. In 1958 my sister Anne was born whereas I entered this world in 1951 and my brother followed in 1953 so I think we may qualify to share in some of the memories of the better years. 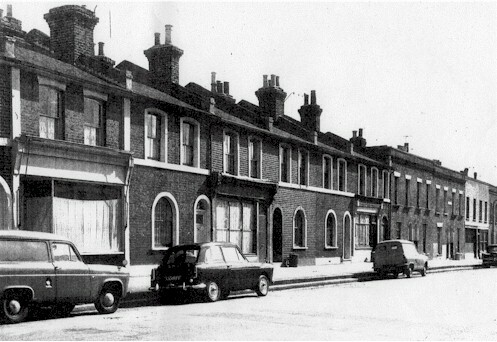 We only moved away from Tottenham because my mother died in September 1962 on the day before I started Secondary school (St Thomas More's in Dowsett Road) but me being in the First year I had to go to the annex school right next door to my father's engineering business at Pipers Court in White Hart Lane. After this sad event in 1963 during that 'bad' winter we moved to Wiltshire where my father carried on in the engineering business. He later remarried and is now retired and living in a bungalow in the country. My brother Steve went to live in Italy where he eventually married a local girl. I gained another brother (Ian) in 1967 but unfortunately my sister Anne died in 1976. Anyway back to the Tottenham side of my life. 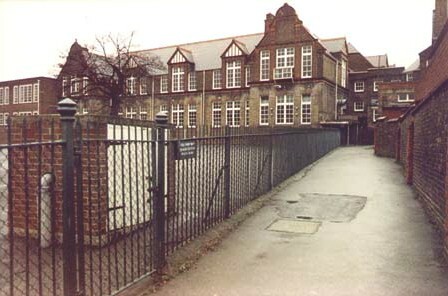 My brother Steve and I went to Downhills Infants and Junior School for our first brushes with education. I still remember quite vividly when I was in the Infants School every day all the kids in my class having to have a little sleep on camp beds, I also remember during play times we used to cycle round the playground on the school's bikes and three - wheelers. 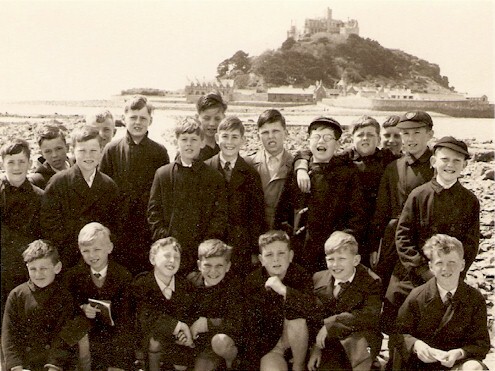 In 1961 we had our annual Downhills Junior School Trip to Penzance where we stayed at a large house called Ponsendayne in Hayle for ten days - we had a great time visiting all sorts of places like St. Ives and St. Michael's Mount. 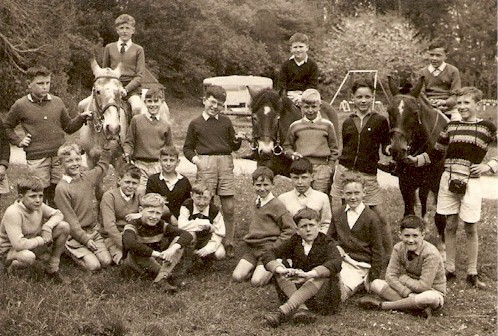 I've inserted a few photos of the school trip in the hope that some of the boys in the photo may have lived in and around Summerhill Road that also went to Downhills Junior School. N.B You will notice that there aren't any girls in the photos - I think they were kept away from us and photographed separately. 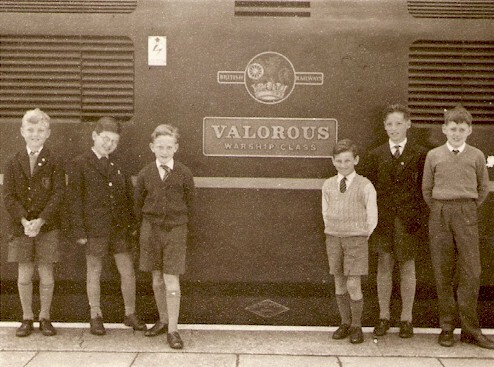 This photo shows a few of my class mates on our arrival at Penzance Station. I am second from the left - think the lad to my left was Peter Cousins - The tall lad next to the short guy with the light coloured jumper on was my mate Malcolm Hall who lived a few doors up the road from me. The other lads I recognise their faces but I am not too sure of their names. This is a photo at St. Michael's Mount with a few more of the 'reprobates of '61. Names that I can remember are :- Back disorderly row 4th from the left is Malcolm Hall next sort of tidier row on the left is Ralph Lance next to him I think it is Peter or Philip Grimes, sixth from the left is myself wearing a duffel coat and to my left with his arm slung over my shoulder is Derek Hawes and the last lad on the right I think is Peter Cousins. The front row I recognise the faces but their names escape me. A day out horse riding. This is going to take some sorting out!! - The only lad wearing glasses is me holding the reins and on the same horse is Peter or Philip Grimes. Holding the reins of the next horse to my left wearing the zip up cardigan is Malcolm Hall. The only other names I can remember are :- sitting at the front cross legged, hands clasped together, wearing a coat with sleeves that appear too short and a serious expression is Derek Hawes to his left is Peter Cousins and to his left sits Ralph Lance. I was very interested in the article on the Friends of Summerhill Road Memories Pages where all the different businesses were mentioned - I remember them all but a couple of them I have a connection with. The first one :- M A Cotton the little shop in Clyde Road that sold things like corn, grain, and even as I remember broken biscuits, was actually my father's Grand Mother (my Great Grand Mother) I only remember the later Mrs Cotton that married Albert Cotton who according to my father died in 1947. 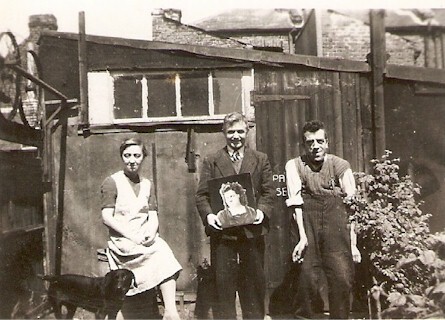 The picture the chap in the middle is holding is of my mother prior my parents marrying in 1946. The second shop I have connections with was 'Lances' the News Agent in Philip Lane. The cheeky looking lad in the photos above is Ralph their son and my classmate. Does any one remember the fire at Duncan & Tuckers yard and also the fire at the house just across the road from our house. This house was next door to the fireplace factory on the corner of Elizabeth Place - I think the Rawlings family lived there at the time and were rescued by our neighbour Bert Brace. I remember waking up in the night hearing what I thought were gun shots going off then hearing my dad running down the stairs. I then remember getting up and going into the front bedroom (mum & dad's) and seeing this great inferno of flames pouring out of the upper bedroom windows. After that I recall the Rawlings boys sleeping at our house and the smell of burnt wood and smoke. Another event I remember was a robbery we witnessed at the house at the end of Elizabeth Place (I think it was used as the office of a builder's business). We were all playing in the street as kids were able to do in those days when all of a sudden two men ran out of the house and made their escape running out of Elizabeth Place and knocking my sister Anne over in the process then disappeared down Bedford Road - I don't know if they were ever caught but it didn't develop into another 'Tottenham Outrage'. It would be fantastic if someone reading through all of this actually remembers me and better still if some photos of Clyde Road were found prior to it being knocked down and renamed Elizabeth Place - my father rues the day they knocked down his refuge 'The Lord Clyde'. I will probably remember lots more things after I send this off but there's always another time. Please feel free to adapt this to the web page if you wish to use it. Hope I haven't bored you too much but it's great to find a site that rekindles happy memories. Very best regards hope to hear from you soon.